Here’s the thing about me: I come from a career behind the camera (and so does Mr Muddy). Being in front of one is not our natural habitat. And secondly, because we come from an industry full of people who know some of the finer details in photography, we’ve never felt the need to enlist the services of a professional in our lives. Even for our wedding day, we relied on friends to document the day and that worked out just fine. But, as I scrolled through my camera roll on my phone recently, I realised with a pang of sadness, that, in amongst the 10,000+ photos of my daughter and husband, I have barely any of us as a family, let alone any I’d single out and frame. Sound familiar? 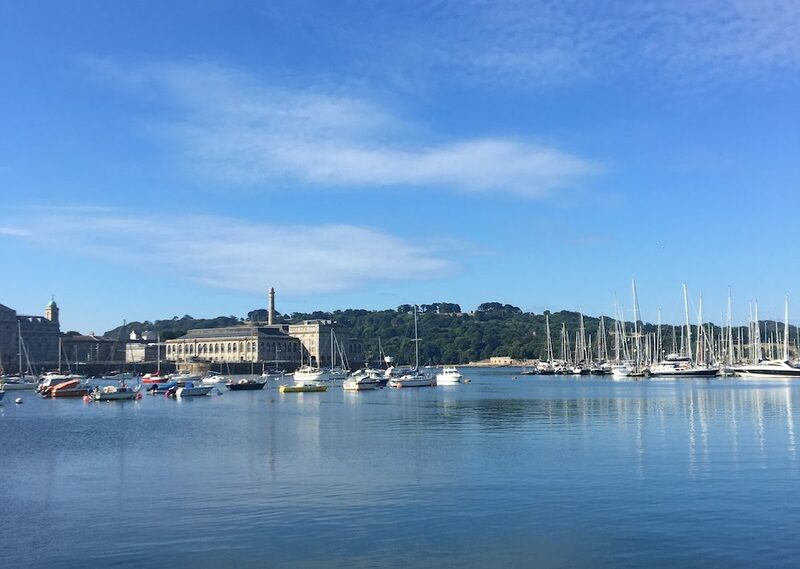 So the next thing I know, I’m down at Ocean Studios in Plymouth’s Royal William Yard, having a natter with photographer Jenny South about what we’d like to capture. 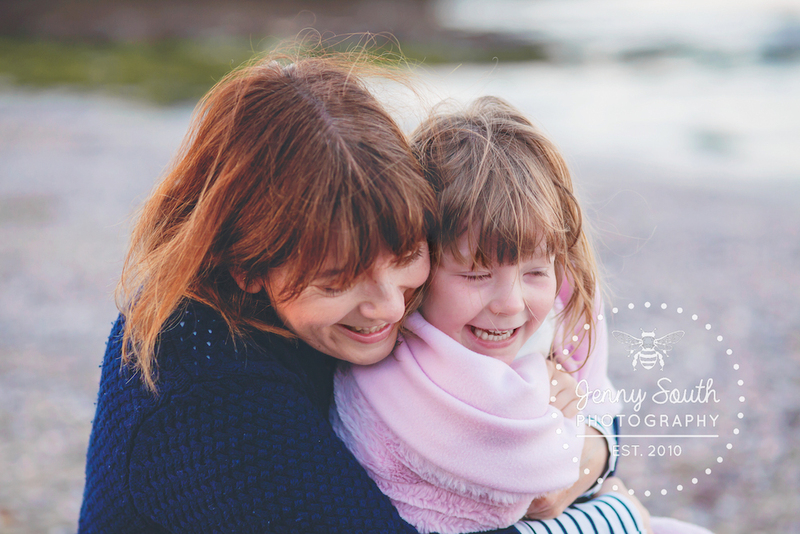 Specialising in maternity and newborn studio shoots, I also knew from following her on Instagram, that she takes to the Great Outdoors throughout the year for seasonal sessions. When put on the spot, it’s always easier to list everything that you don’t want to go for (nothing too staged, unnatural or remotely catalogue-posed thankyouverymuch). Thankfully, that’s not what Jenny is about at all and she suggested one of her beach family photo shoots may get us the shots we really wanted. That settled it, date in the diary and a little bit of time to mentally prepare* (*lose a few pounds. Possibly. Maybe). Fast forward a few weeks and it’s 4.10am and the alarm is going off. That’s not a typo and I’m not even joking; Jenny, it turns out, is prepared to suffer for her art. 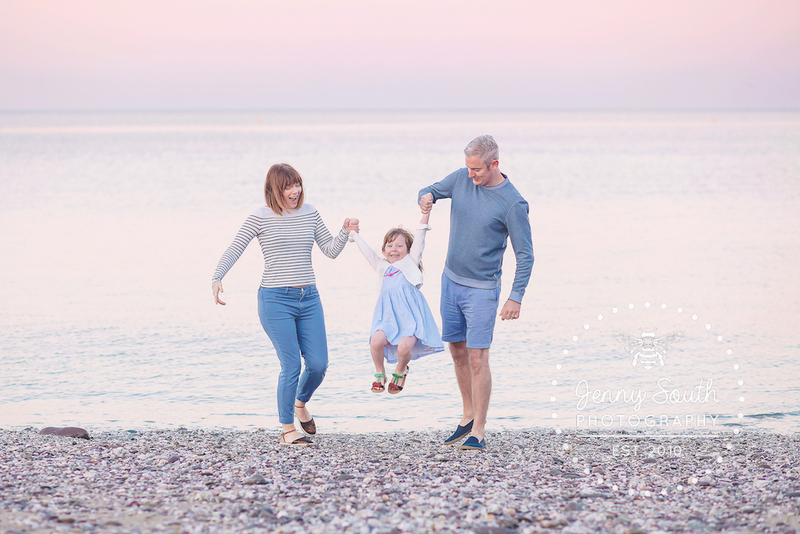 Having settled on the kind of shoot we wanted, it was a simple matter of doing it when the light is at its most magical – normally the hour before sunset. 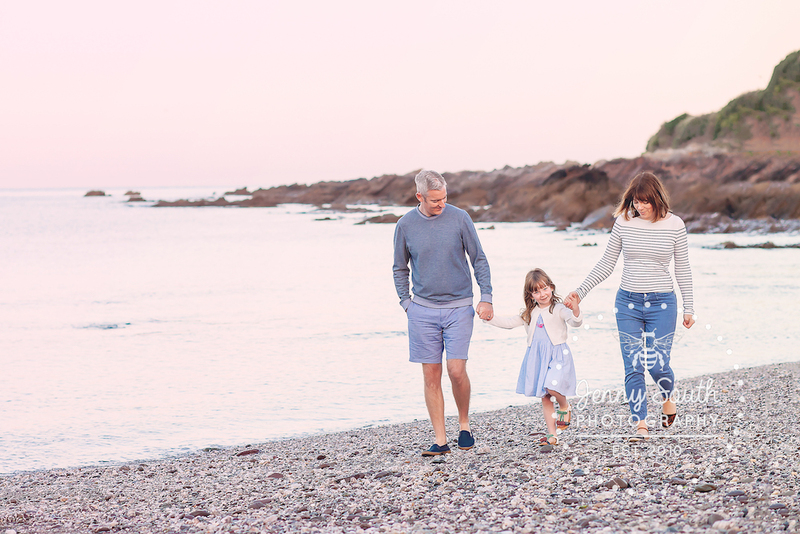 But, the thought of wrangling an already overtired four year-old, at the end of her first school year, as late as 9pm, being the height of summer, was filling us with some anxiety. Jenny suggested we flip it on its head and go for sunrise instead, which we’d probably have much more luck with, since we’re all used to early rises. *Ahem*, sunrise, it turned out was 5.07am! It was the best decision, though. 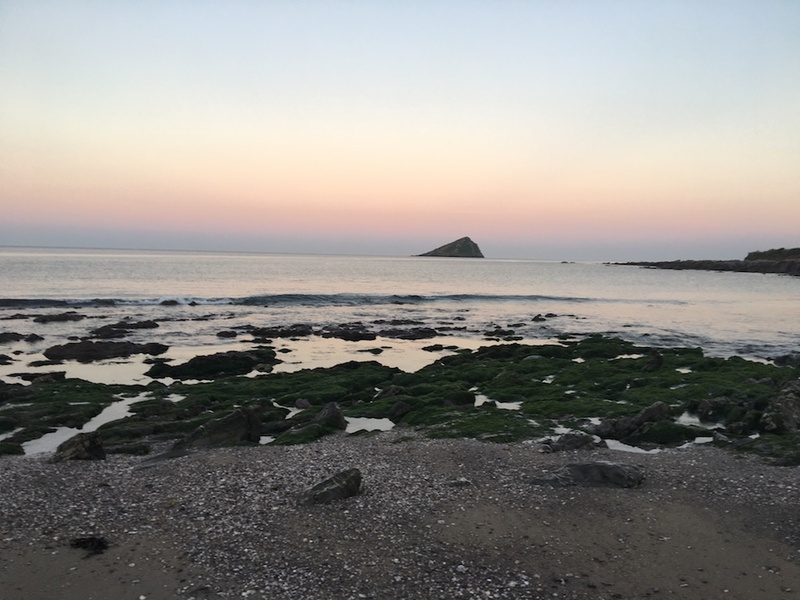 The location, Wembury Beach, chosen by us, is our favourite (Erin likes to call the Mewstone ‘Erin’s Island) and, apart from one bonkers wild swimmer we had it all to ourselves. I can tell you there’s something pretty special about hearing the gulls and the wildlife wake up. Jenny had already scouted out a few different set-ups and, despite feeling predictably nervous, it was surprisingly easy to step in front of the lens. We basically spent an hour just pootling around the beach getting gently windswept, as the sky turned varying awesome shades of pink. Jenny was amazingly discreet, shooting us from a distance, only occasionally giving us some gentle direction when necessary, or suggesting a set-up. 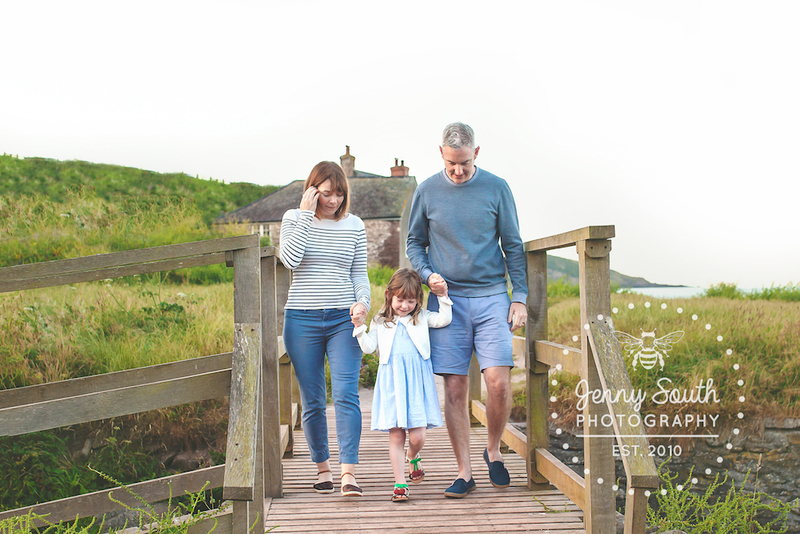 How she managed to capture what she did, I’ll never know – apart from the group smiles to camera, she followed us around pretty unobtrusively, switching lenses and working her magic. On the subject of lenses, the only slip-up of the day involved poor Jenny herself, who managed to slip on some seaweed, sending her lens into a rockpool. 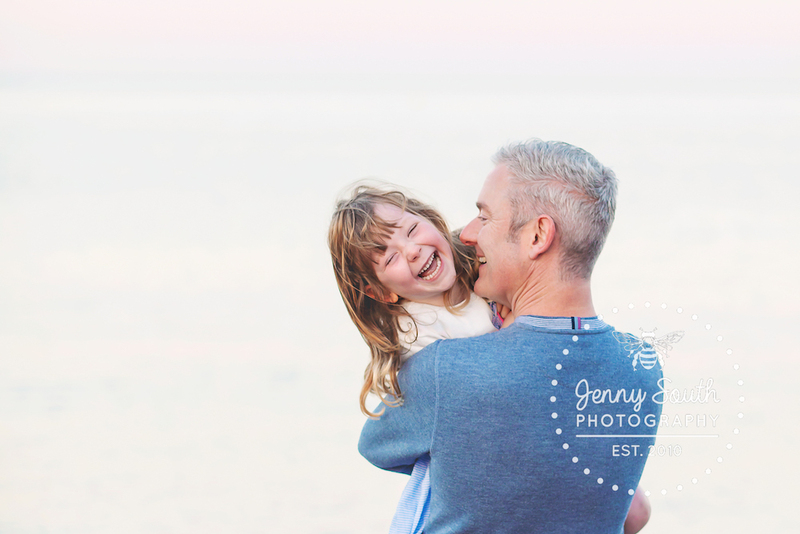 I’m pleased to report it’s a happy ending for the lens, but I’m only telling you this because Jenny was such a trooper; if it had been me, it would have sent me into a full-on meltdown and resulted in an abrupt end to the shoot! She was brilliant with the Mudlet, too, especially when her smile wobbled at one point and the chill in the morning air got the better of her. While we worried that the grizzle was a warning that we were now on borrowed time, Jenny turned our attempts to cheer – and warm – her up to visual advantage. These are probably my favourites. You know when you can ‘hear’ exactly what would have been happening in a photo? So whaddya think? 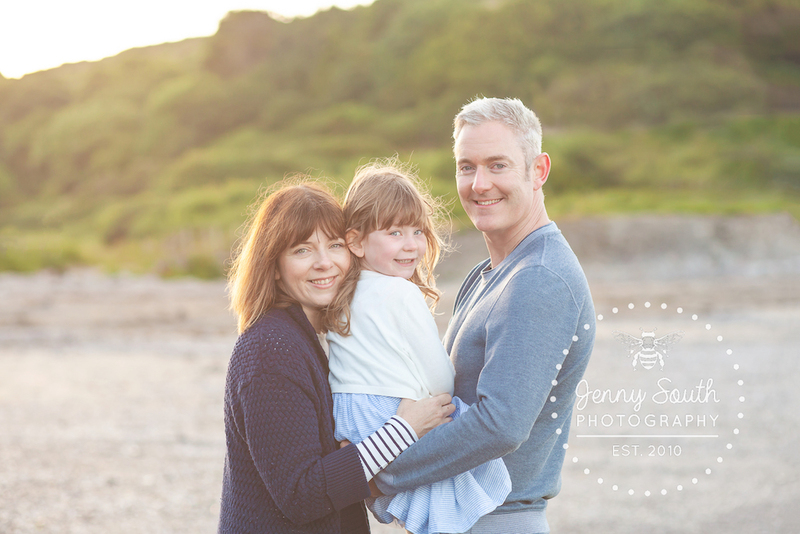 Not bad for one camera-shy editor, one husband who struggles not to act the fool in front of the lens and one small person with a mind of her own! 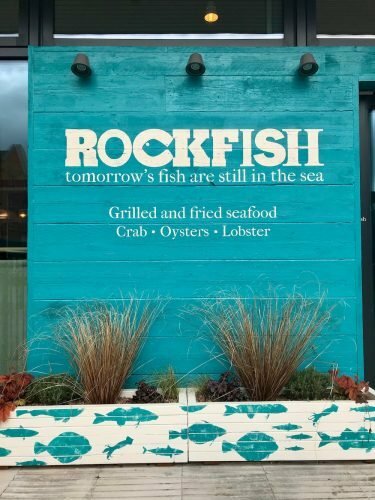 We’re super-pleased with the results, plus pleasantly surprised at how enjoyable the whole experience was. 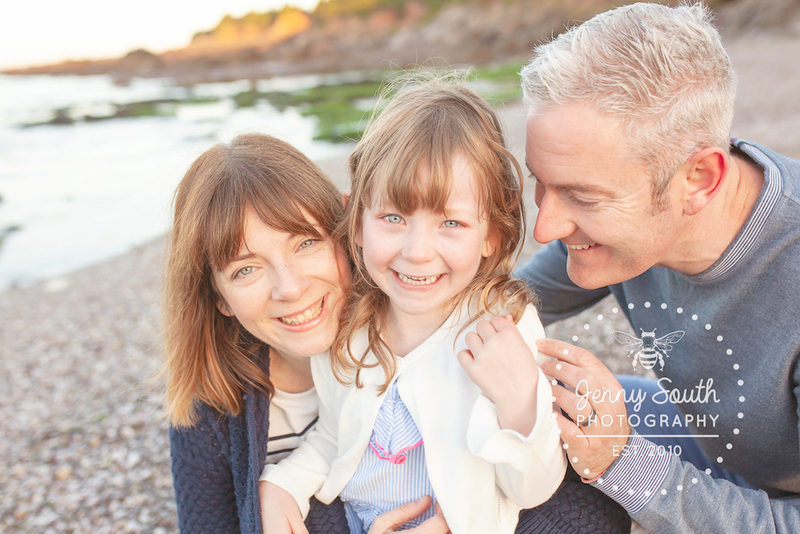 I’m not just recommending Jenny to you based on the the shoot itself – it’s the level of detail beforehand and the big reveal, too. I really hadn’t realised how much planning goes into each session, on Jenny’s part. Aside from an initial telephone consultation, you’re then guided through some simple online questionnaires where you have the chance to think about what you really want the photo’s to look like – both in style and colour. Jenny is inspired by your home decor, your stylistic preferences and where in the house you may eventually hang a piece or two – is it a sunny spot, for example, or a room that doesn’t get much natural light? 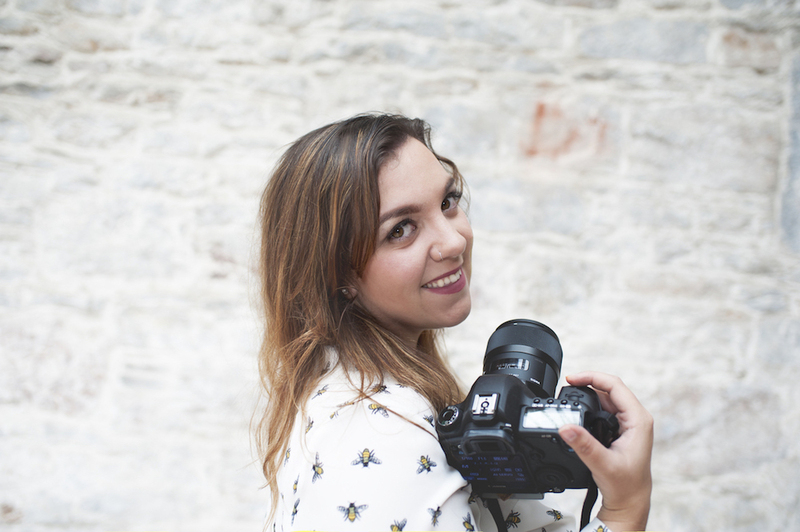 She can also advise on the best things to wear to your shoot. I would never have even considered those kind of things, but now realise how much they matter. On the other side, you’re invited to her waterfront studio for a premier session (which happens to be above the awesome Column Bakehouse Cafe), to sit and view her work (complete with nibbles!) 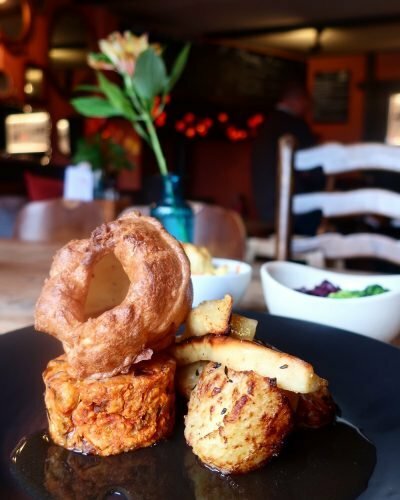 on a big screen, then whittle down your favourites. Plus, you’re given access to an online password-protected gallery to view in your own home, at your leisure. The whole process is, honestly, fun and the shoot a memory in itself. Mr Muddy will kill me for telling you, but me and Jenny definitely noticed the tear in his eye when he saw the final shots. 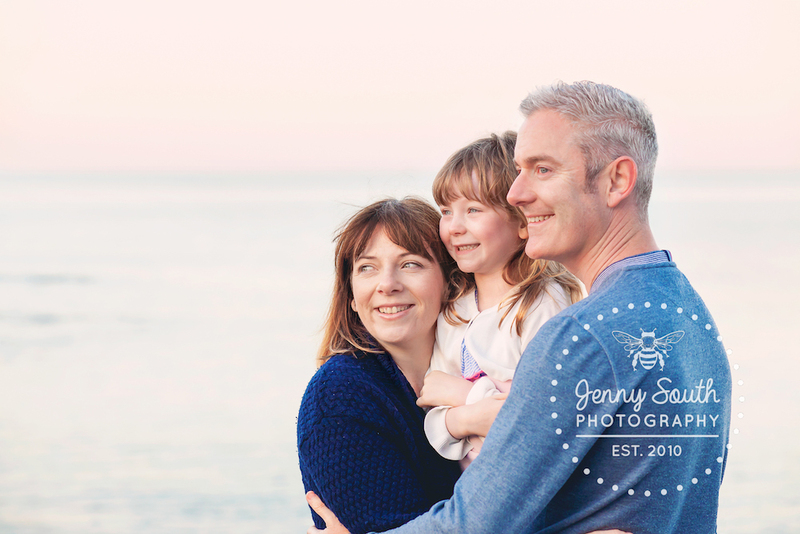 A 1 hour family session with Jenny at a beach location of your choice (within 25 miles, to be discussed beforehand), costs £50 (payable as a £30 deposit, then £20 for the shoot). When you come to view your images, you’ll be talked through the various options for prints, sizes and presentation, all at varying costs. Packages are available and various payment options are, too. 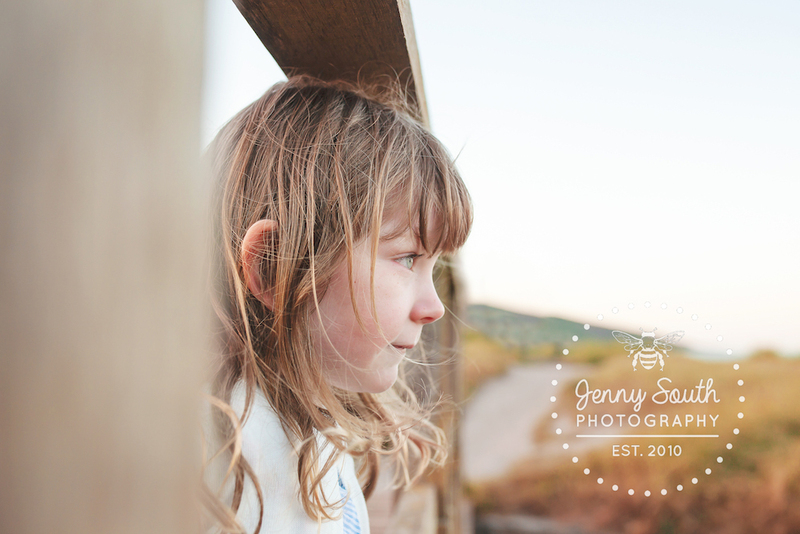 Fancy your own session this summer with Jenny, with a mahoosive 25% off? I highly recommend you snap this one up! Just quote MUDDY25 when booking and tell her we sent you! These are really beautiful and natural shots Sharon! 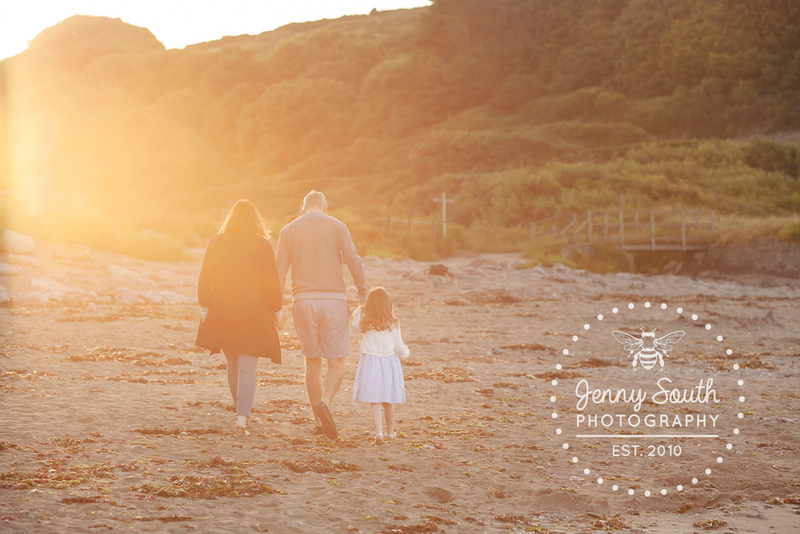 I love the early morning light too and so worth getting up to get those sunrise photos on the beach. 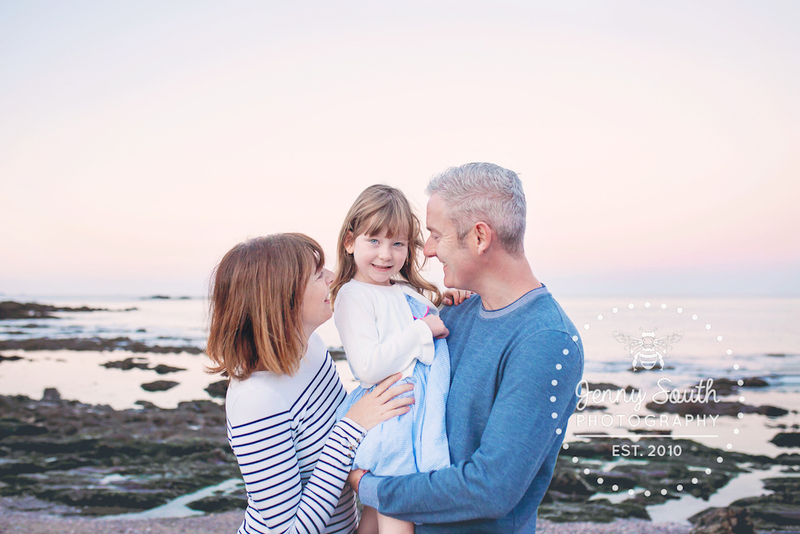 Gorgeous work and family photos.